Our community of crimefighters are the real heroes. Every day, they’re working to make our communities safer places by working together to reduce crime. That’s why we’re bringing you their stories. These are the Crimefighter Chronicles. New Zealand Police and two different retailers collaborated on a multi-district manhunt to apprehend three offenders wanted in connection with a spree of thefts across the North Island of New Zealand. 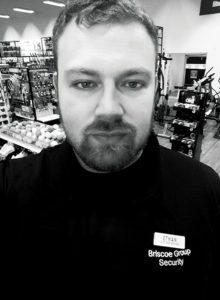 It all started when Ethan Foote, Loss Prevention Manager at Briscoes and Rebel Sport (and previous Crimefighter award winner), reported a significant footwear theft on the platform involving multiple offenders. Crucially, he also included details of their getaway vehicle: a distinctive, brightly painted campervan. 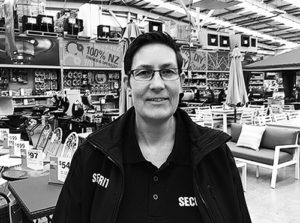 But he wanted to get the registration plate details too for a definitive ID.He walked across the carpark and worked with Rachael Andersen, security Team Leader at the neighbouring Mitre10 MEGA store, to check her security cameras to see if he could catch a glimpse of the registration. Rachael knew that such a campervan was rare in their area, and with a little digging determined that it could only have been rented in Auckland or Wellington. Investigating further using the search function on Auror, she quickly had an ID on one of the offenders thanks to some unique identifying characteristics. Rachael added the offender ID, so the case file now had a name to go with the offending. The very next day, A Rebel Sport store in Palmerston North uploaded a similar incident involving a group of offenders targeting footwear and leaving in the same brightly painted campervan, although this time they managed to get away with far less. Wasting no time, the group was spotted again back at the original Rebel Sport Hastings store the next day—just 48 hours after the original theft. Before they even made it to the door, Ethan asked another staff member to call 111 as soon as he spotted the vehicle in the carpark. True to form, the group entered the store and went straight to the footwear department with a brown duffel bag and started to de-tag and load up shoes. But this time, there was a surprise waiting for them. Ethan and the Police were waiting outside the store exit, apprehending all members of the group (despite a brief foot chase) and recovering some of the stolen shoes undamaged. Two of the offenders were remanded in custody, facing up to 15 charges related to their offending spree, which was made all the more unusual as the offenders were from Auckland. They appear to have been on a crime holiday travelling across the North Island and loading up on goods. In all the group have been responsible for several thousand dollars worth of theft. “Thanks to the completeness and quick reporting by the store teams we were able to get a good outcome,” Neil says. 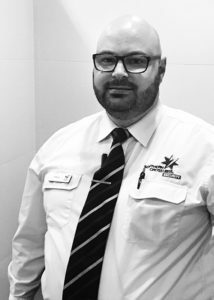 Stephen Perrymeant was able to get a quick resolution to a theft event at Colonnades Shopping Centre in Adelaide thanks to a swift incident report and speedy police work. An unknown offender in a high-visibility shirt approached a store at the shopping centre, and executed a quick grab-and-go theft of a electric racecar toy set, fleeing from an exit nearby. Stephen diligently filled an incident on Auror, including a photo of the offender in his distinctive clothing. On the following day his local South Australia Police were at the centre on another matter, and he used the opportunity to share the photo of the offender from the Auror report with the police. They immediately knew who it was. Stephen got the name from the Police, and his counterpart at Colonnades Steve Barauskas added it to the Auror profile. Armed with the offender name and evidence from Auror, Police went away to make an arrest that same day. The offender will appear in court soon to face charges. “Since we started using Auror, it’s easier to keep track of people. Prior to this we would have no idea if it was the same person coming back again. The Police are using it, so we can upload an incident and share it with them right away,” Stephen says. Jake Clarke from the Tactical Crime Unit at Hamilton Police was able to use some clever sleuthing to apprehend a local fuel thief with a few bits of definitive intel. 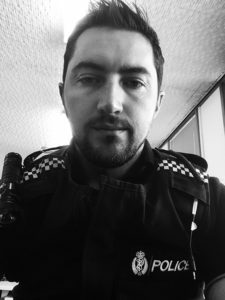 Jake and his team regularly scan the Auror Feed for incidents in their area, and when he spotted a fuel theft from a nearby station he ran the plates through the Police information system to determine who owned the vehicle. He called and questioned the registered owner of the vehicle, who gave the nickname of someone he said was driving the car at the time, along with the street he lived on. Jake was getting closer. After undertaking some further enquiries on the street he had been given, Jake located the alleged driver of the vehicle, and when compared to the photo on Auror he was a perfect match. Though the offender was given a further two weeks to pay for the stolen fuel, he was eventually charged for the theft. 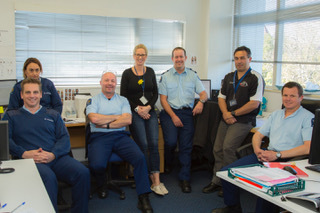 Don Peat and the New Zealand Police Criminal Investigation Branch in Dunedin connected the dots between two investigations to recover a stolen vehicle and solve a fuel theft in a single investigation. Back in April 2017, the site team at Z Energy Anderson Bay uploaded a fuel theft incident involving a female offender heavily disguised in a hat and sunglasses, involving a vehicle with plates that were registered to an entirely different make and model. Without further evidence or intel, the case looked set to stop there. That is until several months later, when Don and his team were executing a search warrant at an address in Mosgiel related to a stolen vehicle. They discovered the same set of stolen plates while executing a search warrant on a car that had been unlawfully taken. After questioning a male and female at the search address, the police checked the plates in the Police crime information system, and found a hit on the plates in connection with the incident at Z Anderson Bay that was reported through Auror. Don was able to pull up the report and photos on his phone then and there, and upon showing it to the female at the premises he obtained a full confession on the spot. She was charged and convicted for the theft, receiving community work and with reparations being ordered. “Unfortunately, it’s not unusual for drive-offs to happen on vehicles with stolen plates,” Don says. He recommends that drivers take advantage of the many opportunities across the country that police sponsor to have their registration plates affixed with theft-deterrent screws that make them harder to steal.